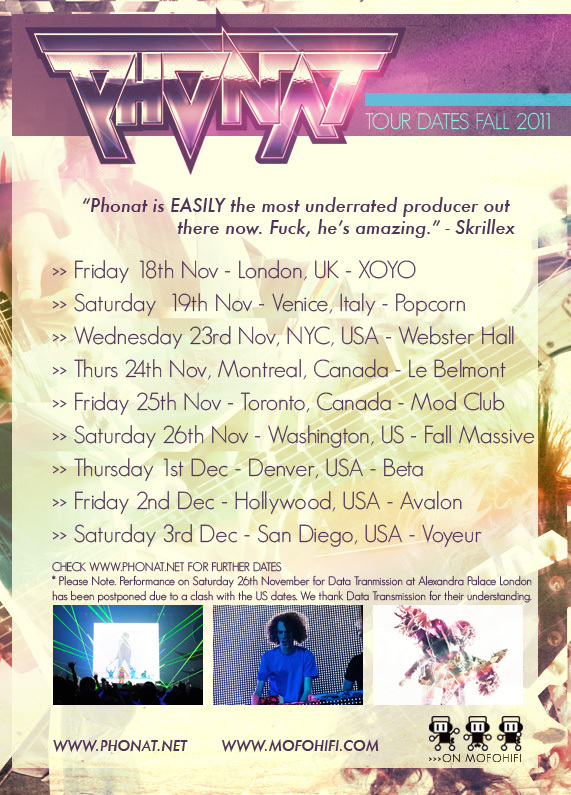 MofoHifi records are delighted to announce the first tour dates for Phonat in North America. These are the first dates Phonat has ever played in the USA and Canada and further dates will soon be announced for 2011 and 2012. Please check the face book events page for latest news. Or view all upcoming gigs on the “dates” page on this site.